In the alphabet soup of New York City subways, there is no Y train. But there is a Why Train. Ever wonder about commuting, construction, and confusion underground? You're not alone. There are answers out there, and probably eight million more questions ready to be asked. Why does only the L line get this luxury? For example: How come in Washington or London or Paris, everyone on the platform knows when the next train is due to arrive. Why not New York? It boils down to technology. Until now, only one line, the L, was designed to transmit instant data. As NYC Transit's Paul Fleuranges explains, "the Communications Based Train Control (CBTC) operating system's software provides the real time location and other data electronically, allowing us to provide that information." By the end of 2010, other lines are due to be outfitted with the automated clocks -- letting you know how long you've got to wait. Says Fleuranges, "We recently installed a similar system, Automated Train Supervision or ATS on the numbered lines. That system provides real time train location information. Armed with that data, we can now move to provide arrival information on the 1, 2, 3, 4, 5 and 6 lines through our Public Address/Customer Information Screen (PA/CIS) system." 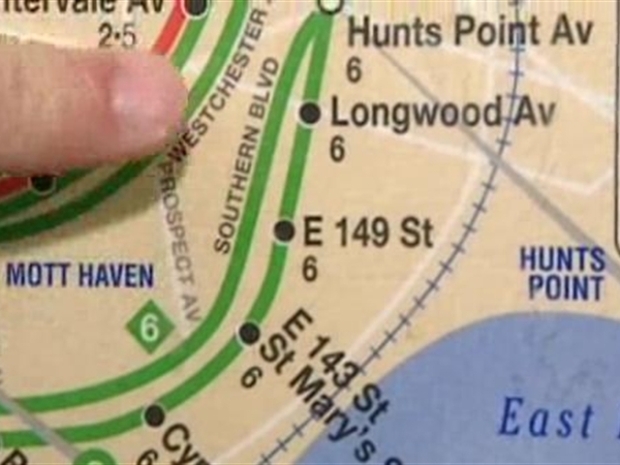 Three stations on the #6 line in the Bronx -- Brook Avenue, East 149th Street and Longwood Avenue, are scheduled to get the automatic update screens next. For those straphangers who rely on the lettered lines, however, it could be years before anything automated is available. So the old fashioned technique remains-- the careful lean and look. Followed by an impatient sigh. In the meantime, stay tuned for further adventures on the Why Train.